Simply beautiful. A swirl of white gold set with clear diamonds drapes over this fine quality natural aquamarine gemstone set in pure 14k white gold. An oval aquamarine gemstone weighs 0.50 Carats and measures 6mm x 4mm in size. Diamonds weigh a total of 0.05 carats in H-I Color, I Clarity. 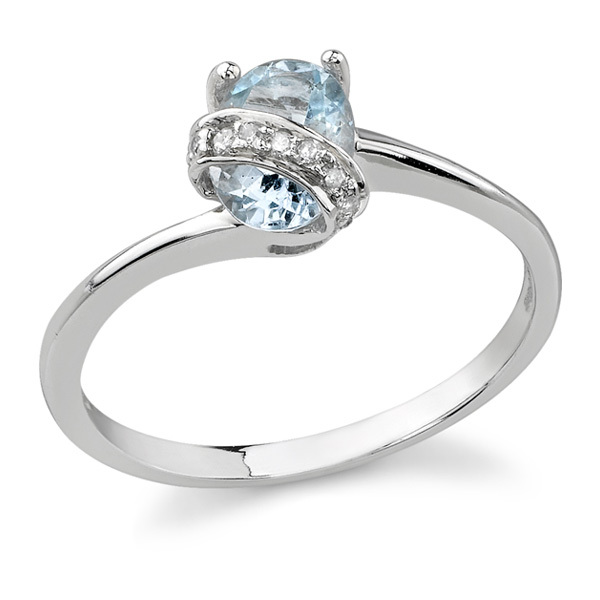 We guarantee our Diamond Swirl Aquamarine Ring, 14K White Gold to be high quality, authentic jewelry, as described above.